Beautiful native of South Africa. 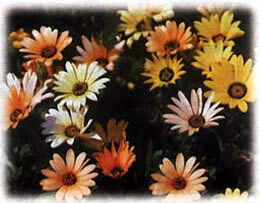 Flowers of yellow, apricot, salmon, and white, provide a carpet of summer color. Grows easy from seed in warmer climates 12" tall.